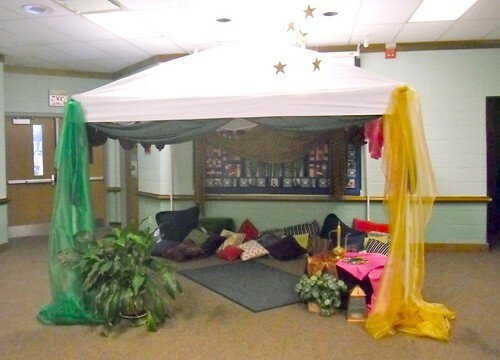 Summer Reading Program has been in full swing at my library since early June, and this summer we have the most FABULOUS theme to work with: Novel Destinations! It's all about international destinations, right?! 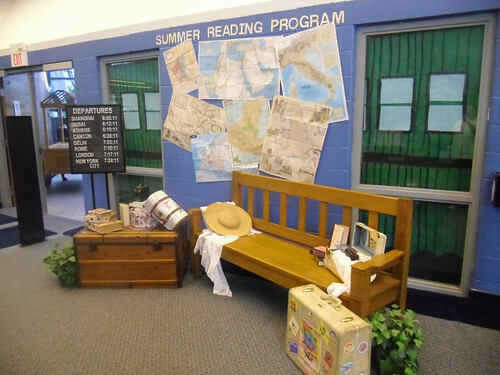 Each week we've featured a different country, and you can easily tell where we are week to week if you check out our main Summer Reading Program display...all aboard! I love our little train station...I especially loved the train sounds we've piped in on repeat for the summer. :-) Cute, no? 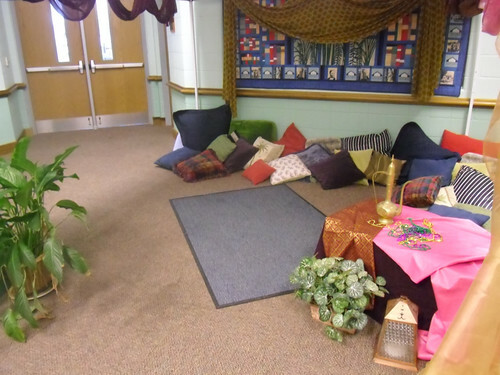 Actually what I like best about these two displays is that they cost only a few dollars for fabric...the rest were found objects around the library (an entry map, a neglected bench, a peace lily, a pop up tent) repurposed for what we needed or borrowed from the homes of staff members. I love the ingenuity!